Home News Preview of the new Chilling Adventures of Sabrina Pop! Vinyl! 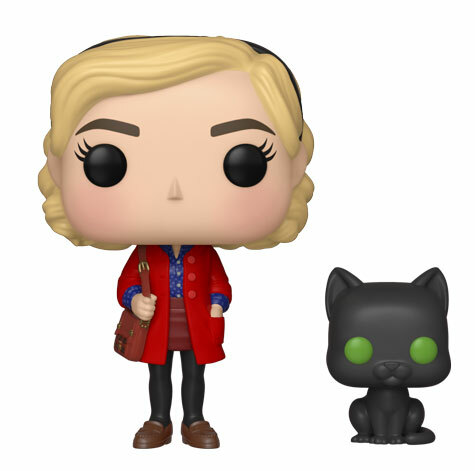 Preview of the new Chilling Adventures of Sabrina Pop! Vinyl! The Chilling Adventures of Sabrina will premiere on Netflix on October 26, 2018. To celebrate, Funko is releasing a new Chilling Adventures of Sabrina Pop! Vinyl that features Sabrina Spellman and her cat. Click on the link below to pre-order the new Pop on EntertainmentEarth.com which features a Mint Condition Guarentee and will not charge your card until it is shipped. Previous articleNew Wreck-It Ralph: Ralph Breaks the Internet Rock Candy Figures Coming Soon! Next articleNew GameStop Exclusive Bleach – Renji with Sword Pop! Vinyl Now Available Online!